A lightweight lithium-ion battery that delivers a powerful value. The STIHL AP 100 Lithium-Ion battery weighs in at just 1.8 pounds, but delivers heavyweight performance. Use it across multiple STIHL battery-powered products with no gradual drop in performance. And thanks to its LED charge display, you’ll know how much power you have while you work. The AP 100 is also designed for long service life – it can be charged hundreds of times without any noticeable loss in capacity. Even after 500 charges, the battery retains over 80% capacity. 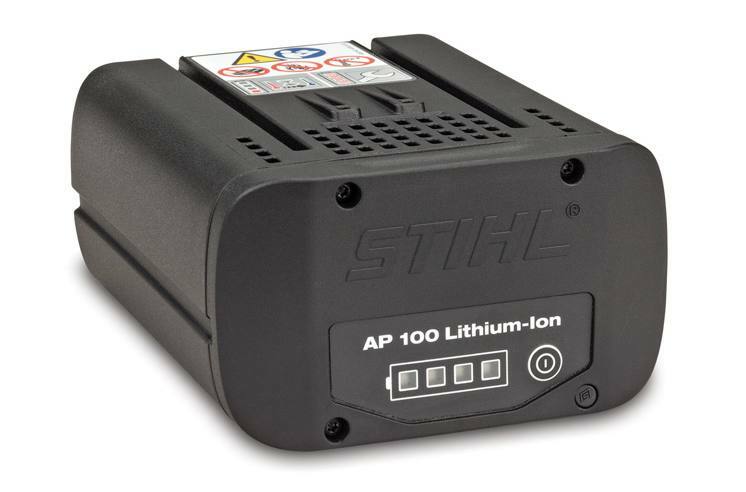 And like all STIHL batteries, the AP 100 features an onboard circuit board to monitor voltage and temperature, helping deliver smooth performance and tool safety.